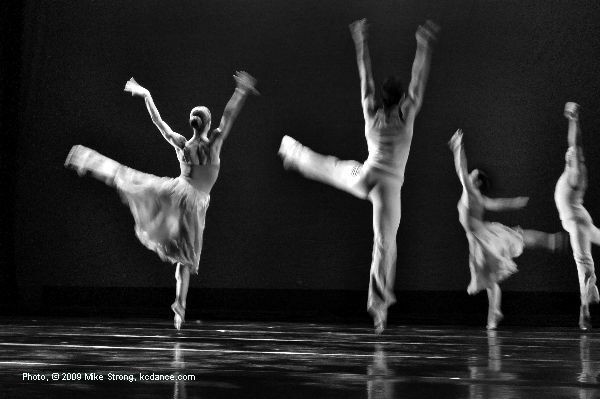 Autumn, a company premiere by Mary Giannone Talmi, soars with sweeping lines in ever-changing and intricate patterns. Set to the music of George Winston, the ballet blows in like a crisp fall wind in a classical and contemporary blend reminiscent of the brilliant flashing colors of Autumn. Give Your Hands to Struggle is a solo work by Jawolla Zollar set to the music of Sweet Honey in The Rock about the real and metaphorical power of the hands to move, touch, hold and give and take in the realms of spiritual deliverance and social struggle. Trap Door Party by Josh Beamish tracks the motivation and progress of six individuals who leave all behind to create a utopian society. 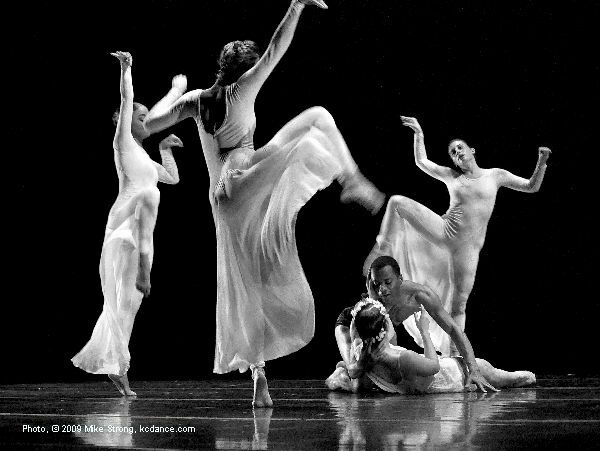 Trap Door Party is an appealing contemporary dance work influenced by the formalism court dancing and classical ballet. The sound score blends classical music and orchestral covers of Aphex Twin songs by Alarm Will Sound. Underwritten through the partial support of the National Endowment for the Arts. One of Jose Limon's final works, Orfeo follows the travails of the mythological poet and musician as he descends into the underworld to bring his beloved Eurydice back to earth. Set to Beethoven's Fourth concerto, this 18-minute piece is a quintet for one man and four women. 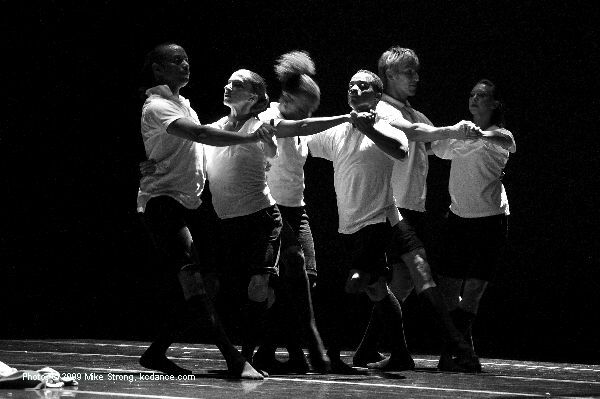 Wylliams/Henry Contemporary Dance Company is fortunate to stage this remarkable piece on the 35th Anniversary of its world premier during the Company's 2009 season. Shadows of Fate by DeeAnna Hiett is a moving look at the relationships and people that touch our lives and shape our fate. Set to the music of Hans Zimmer, one woman looks at her life and laments those she has lost only to wonder what is real and what are the shadows that follow her. "Sweet Otis Suite" which is set to the soulful vocals of legendary artist Otis Redding. Touching on the emotions of love, loss and yearning, this full company work captures the mercurial experiences of the heart that brings us both joy and sorrow. Autumn by Mary Giannone Talmi - Catching the same moment on stage (dress 9 sep 09) and in studio rehearsal (21 aug 09) - DeeAnna Hiett and Gavin Stewart (from a different angle) - Carol Monerrat and Torens Johnson at back. Walking into a Wylliams/Henry rehearsal in studio 108 this summer it was a pleasure to see a familiar face, former Kansas City Ballet dancer Christopher Barksdale. Chris, who retired from KCB after this last spring season (2009) may be moving into "old" country for a ballet dancer (at age 36) but he is still a performer and is working at an expanded set of performances from dance to theater. Here he was rehearsing for Trap Door Party by 21-year old Josh Beamish from Vancouver whose dance reputation is rapidly expanding. His 4-year old company will be in traveling across Europe and Asia next year. Young and "old" working together. The dancers themselves range in age from Josh's age to beyond Chris's age (21 to early 40's). 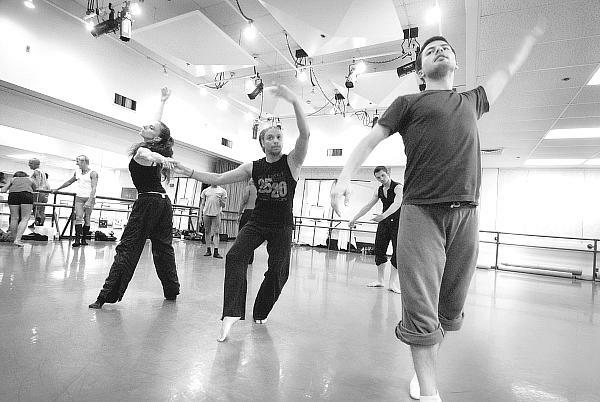 Trap Door Party is an intricate and complex work, alternating between slow and high energy movements. This is a special edition modified from the original length of more than an hour to around 20 minutes. Choreographer Josh Beamish - directing Trap Door Party (while checking video) (L-R), reflected behind him are: DeeAnna Hiett, Torens Johnson. This is also a new age in publicity. Wylliams-Henry artistic director Mary Pat Henry saw a 7.5 minute excerpt of the work on YouTube. When she phoned Josh to inquire about a performance he told her it would be more than an hour. Mary Pat said they never did individual pieces that long, could he cut it to a 20 minute version. He could. And so, 2009 UMKC graduates Molly Vaeth and Chloe Abel joined with UMKC senior Gavin Stewart, and with veteran dancers DeeAnna Hiett, Christopher Barksdale, Tracy Ray Kofford, Tracey Franklin, Carol Monnerat, Christina Mowrey and Torens Johnson. 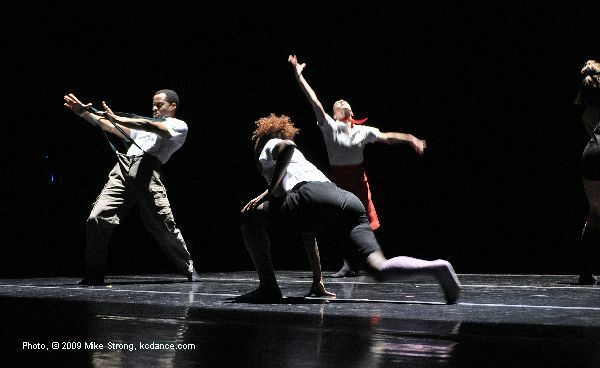 Practical notes: dancers DeeAnna Hiett, Torens Johnson with Choreographer Josh Beamish - Trap Door Party. Behind (L-R) Christina Mowrey, Tracy Ray Kofford, Chris Barksdale, Gavin Stewart. The Wylliams/Henry Contemporary Dance Company will feature both youthful promise and respected experience in its choreography and performers for their Fall Concert Season. Not to be missed, the concert performances will be in White Hall of the Performing Arts Center, on Sept. 10, 11, 12, presenting a mix of recent favorites and a USA premiere on its high-powered program. This season's performance will feature the seasoned skills of Chris Barksdale, Kansas City Ballet star, (and local favorite performer in the dance community). Barksdale will be performing in the USA premiere of the fresh, new choreography of 21-year old, Josh Beamish, a young, Canadian dancer-choreographer. 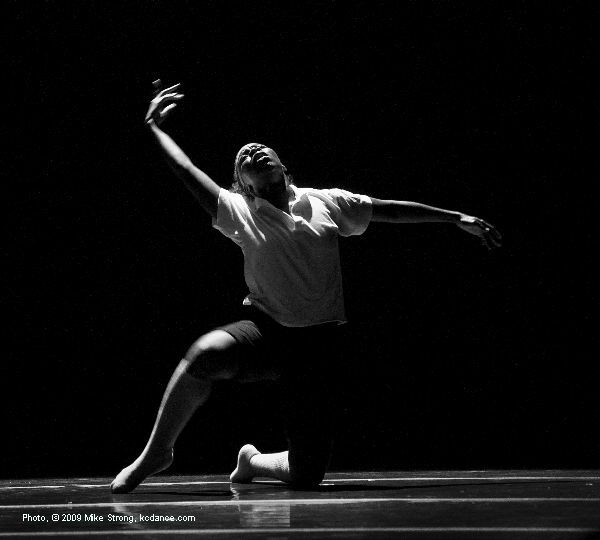 Beamish, an eclectically-trained dancer, is also the Artistic Director of MOVE, a Modern Dance company based in Toronto. 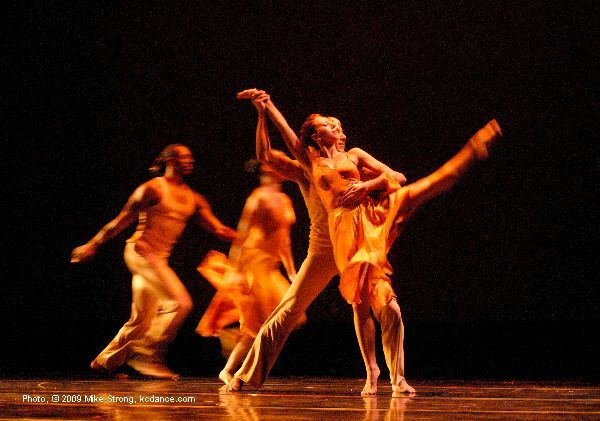 Together, Barksdale and Beamish create a dynamic combination of fresh talent with seasoned experience that has sparked much excitement in the Wylliams/Henry Dance Company and its followers. "We are excited to have Josh Beamish, the Artistic Director of MOVE, a modern dance company based in Toronto. Beamish is an up and coming choreographer to watch,” remarked Mary Pat Henry, Co-Founder of Wylliams/Henry Contemporary Dance Company. In his work, Beamish has been honored by the Canadian Arts Council and has set pieces for prominent dance companies and for films in Canada. 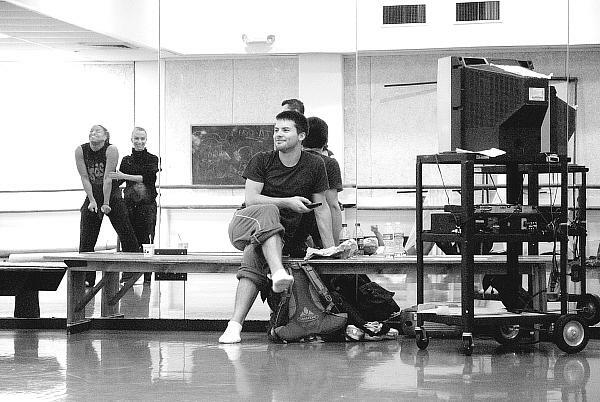 An experienced teacher, despite his youth, Beamish will also be giving master classes in the Dance Division for both the company and UMKC dance student. This concert will feature his piece, Trap Door Party, and this event will mark the first time that his works have been seen in the United States. 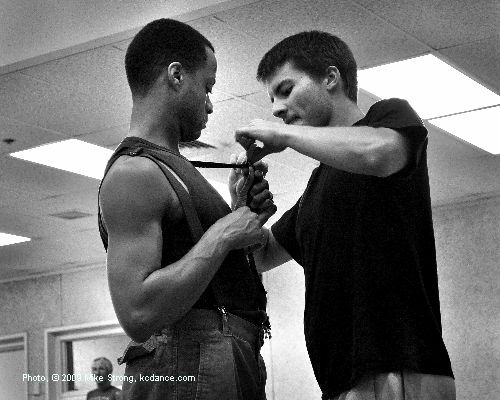 While in Kansas City, Beamish has been working closely with Barksdale, and the other members of the company, to prepare for this premiere. A versatile performer, Barksdale has worked intently on mastering his part in the new premiere. After officially retiring from the Kansas City Ballet this last Spring, Chris Barksdale now finds himself free to pursue a variety of interests, including performing new forms of choreography with Wylliams/Henry, pursuing opera and musical theatre roles, and doing his own original choreography. 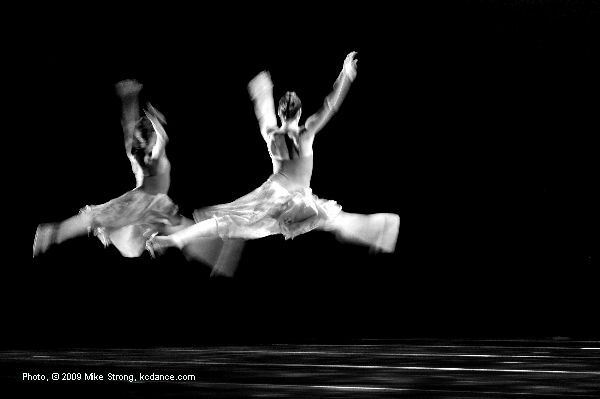 "Currently, I am setting one of my works, Curtains, on the young dancers at Barstow High School," said Barksdale. "But I am also working on some other theatrical projects for January." Although Barksdale's followers are used to seeing him perform in more traditional Ballet roles, they will be in for a treat with this concert. 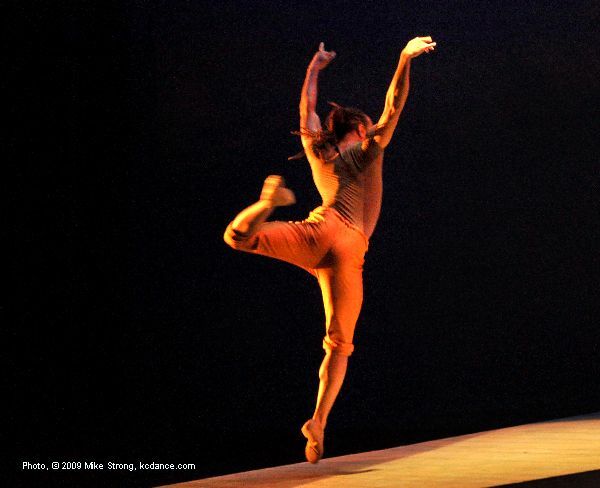 Barksdale has years of Ballet under his belt, yet he is open and flexible to new styles of choreography, and executes all dance forms equally well. This will be new territory for Barksdale's audiences, but they will be delighted. 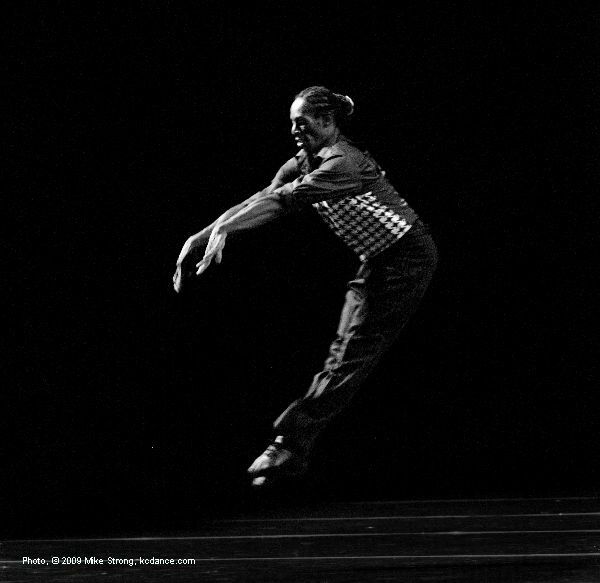 Barksdale reflects the same enthusiasm, grace, and control in this new work that he brings to his Ballet performances. "Yes, I am really enjoying dancing with this group ... the Wylliams/Henry Company," said Barksdale. "And I hope to do more of it... it has been very exciting and fun working with new material." The Wylliams/Henry Spring Dance Concert 2009, will be held at 7:30 p.m., on Thursday, Sept. 10 at 8:00 p.m., on Friday, Sept. 11, and Saturday, Sept. 12, at 8:00 p.m., at White Hall, 4949 Cherry, Kansas City, Missouri, located in the Performing Arts Center on the UMKC campus. Tickets prices are $24.00 for Adults, $18.00 for Students, and $15.00 for Seniors. Tickets can be obtained by calling the Central Ticket Office (816) 235-6222. 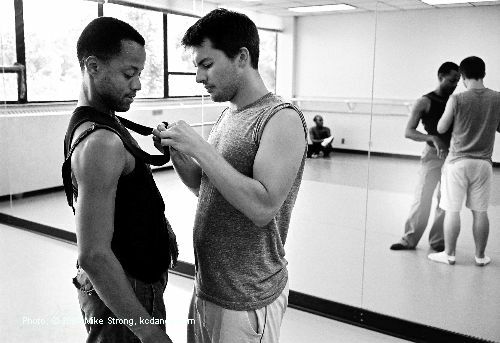 A persistent costume problem - Here choreographer Josh Beamish is adjusting Chris Barksdale&apos;s suspender which kept unsnapping in rehearsal. Left, practice at UMKC annex and right, in UMKC modern studio (room 108) - Apparently the problem wasn't fixable because this section was dropped from the piece by of dress rehearsal on the 9th. The Conservatory's Dance Division will be presenting its annual Fall Concert, Nov. 5, 6, and 7, at 7:30 PM in White Recital Hall. Tickets will be available to the general public.